Yoga Phoenix: Will Chant for Cookies!!! And now announce it for only $5. 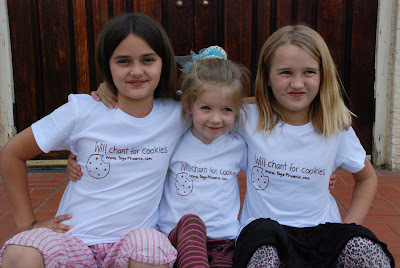 These lovely shirts are made of organic cotton and are screen printed with a hand drawn design by Kewal, inspired by Guru Simran Singh (the true cookie monster), and manifested by Livtar and Emily.